If you’ve been wondering where we’ve been, well…Minimalist Mama is now Minimalista Mama! After a few months of moving around, we’re excited about our new name and final location. Come join us at the new site – we’re looking forward to seeing you there! In the process, we’ve combined Minimalist Mama, her sister site Minimalist Mama Expecting (for pregnant parents) AND Minimalist Mama Gifts (for the lovely people who give presents to our adorable offspring). All the sites still have their own sections, so you can find your new home by just clicking on the category that’s right for you. Or you can see all the great stuff for everyone by just browsing around the home page. We really hope you like it! I was just hanging out with my friend and her eight week old baby and discussing tummy time, so I thought I’d share. For those of you whose babies haven’t arrived yet, tummy time is exactly what it sounds like: time babies spend lying on their tummies. We’re talking about small babies here – ones who can’t hold their heads up yet or roll over – which is precisely why you put them on their tummies in the first place: so they strengthen their neck muscles so they can hold their own heads up. You know, for later when they want to go to a movie without a neck brace or whatever. Just so I’ve said it, of course don’t leave your baby alone on his tummy, and, as I’m sure you’ve heard a thousand times don’t put him to sleep on his tummy. 1. Don’t try for tummy time right after Murgatroyd eats. It might be upsetting his stomach. 3. When he’s just had enough (and this can be 1-2 minutes later: don’t shoot for the moon if he’s miserable), roll him over onto his back before you pick him up. A child development expert at Astrid’s playgroup made a great point about this: if your baby is upset about being on his stomach and you pick him up from his stomach, he’s making the association that tummy time is something he needs to be rescued from. If you roll him over first, well then you’re just picking him up the way you do 1000 times a day. No big deal. Plus it gives him a little mini preview of what it’ll be like to roll over on his own. Some books recommend lots and lots of tummy time, and I know moms who were super stressed about getting exact amounts of it in every day. My opinion on this, as on everything, is that moderation and sensitivity to your specific baby trump hard and fast rules. Yes, get some tummy time in every day, but don’t buy a stopwatch and have at it every two hours on the hour. If you’re regular about it, good enough. They all get there: you don’t see any kids walking around at high school graduation who can’t hold their heads up. 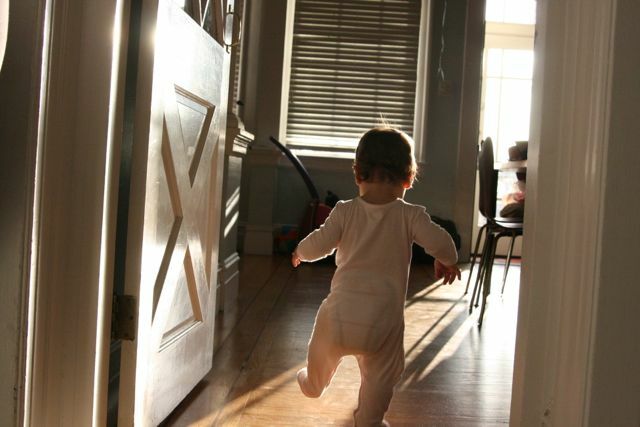 I just ran across Leo Babauta’s post on Keeping A Simple Home with Kids at Zen Habits. It’s a couple years old but not dated at all: great tips for small habits you can adopt as a family to keep things streamlined, no matter what your feelings are about minimalism. “A home for everything,” and “Go for quality,” are two of my favorites. The latter is the basis for my own site, after all! They may seem self-evident but I have to keep reminding myself of them when I’m tempted to fill up closets and hang onto little cheap toys that accumulate like dust in the corners. Everyone can use a good purge everyone once in a while, right? I’m doing mine in the dining room today! 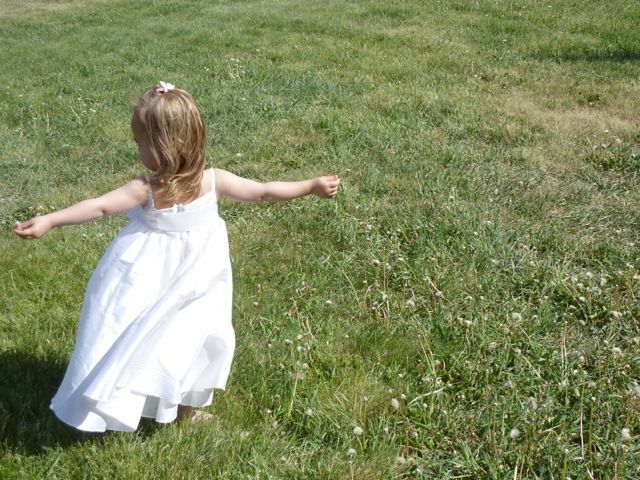 Sorry to be off the grid for a few days: I had big plans to pre-write posts for my absence, but packing for our trip with the littlest flower girl in the wedding overwhelmed me! Ramon and I are a seasoned travel team. Most of his family lives in Zurich and we’re both keen on globetrotting, so we’ve been a lot of places and learned a lot about what works on the road (with each other and with our luggage!) That knowledge has been a helpful starting point for traveling with a young child and provided us with some confidence and habits that have stood us in good stead with Astrid. That said, traveling with children can be nerve-rattling and has required an overhaul of our habits, as well as the development of some new ones. Judging by the terrible behavior of a nearby five-year-old boy on the plane home, those requirements will continue to evolve! Do pack all trip-essential items (like the flower girl’s dress or the swimsuit for the beach holiday) in a carry-on suitcase, in case the airline loses your luggage. Do not leave that suitcase in a gravel parking lot when you stop for a bathroom break for your recently-potty-trained toddler. I’m just saying. 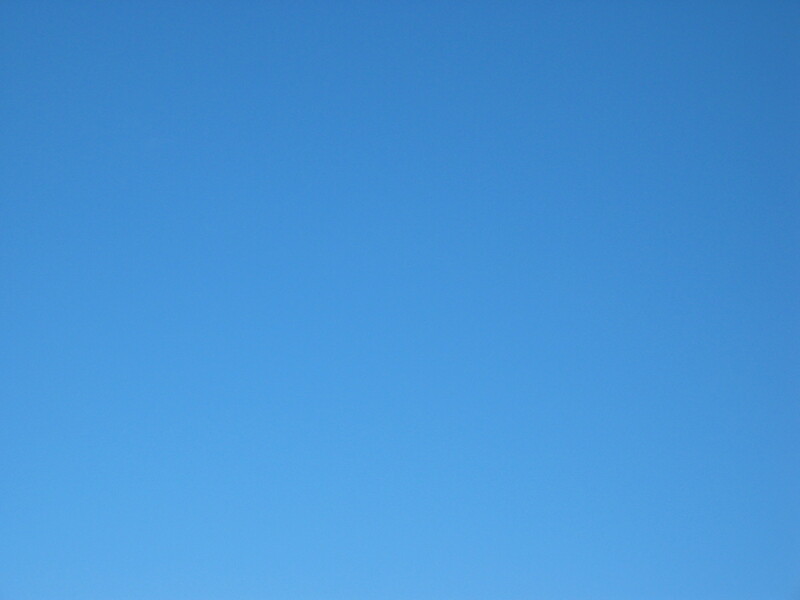 Plan on arriving at the airport 90 minutes before your flight departs, not 60 as required. Even if you are super streamlined and a security-line pro, you will be glad of the extra time. Grab a bottle of water, let your little one ride the moving sidewalk, or take a relaxed breath as you encounter a snag or a very long line: you have built in the time to accommodate it. Staying as relaxed as possible is your #1 winning strategy for your whole family. Check your departure time the night before you leave, even if you think you know what it is. Really. Rookie mistakes still happen, especially when you’re looking after someone small. Check in online the night before. In the maze of options – kiosks, desk check-in, curbside bag check, “extra baggage” charges (how is it “extra” if it’s your only bag?? ), different boarding policies for every airline – having a boarding pass in your hand when you arrive at the airport can be a time- and lifesaver. If you can’t print it for your return flight because you’re on the road without a printer, most airlines will accept one on your phone’s screen or, at the very least, you can still check in online, skip the desk check-in line and go directly to a kiosk to print it there. Carry as few bags as possible through the airport. The goal is to reduce the number of total items you are responsible for, even if that means taking a larger bag that will hold all the small individual bags (which you can then pull out in-flight). Trust me: this will reduce stress. A number of these were second nature for us pre-baby and may seem elementary, but executing them has required reorganization and renewed focus now that we’re flying with a toddler. Except the gravel parking lot thing. That probably won’t happen a lot. I hope. I figured I was on the hook for introducing her to a range of foods (most of which I’d never cooked), so she could establish a broad palette and not end up hating mushrooms or being the kid who will only eat crustless pizza. 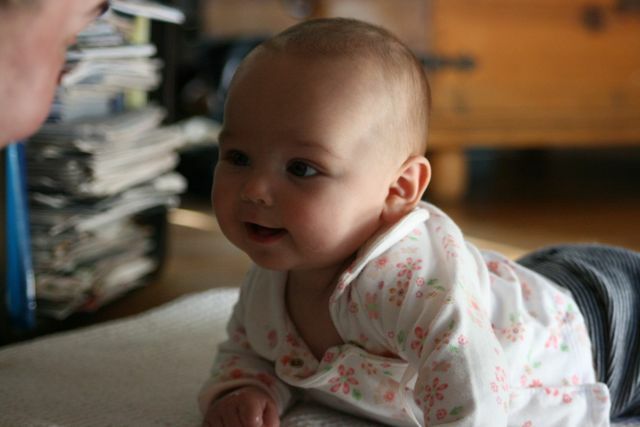 And finally, Astrid turned six months old while we were in escrow on our house, so I was managing a move right about the time I was also supposed to be changing all our routines to get some solids into her. Here’s my two cents, from the other side of the transition: it’s not that big a deal. Really. The general guideline is to start babies on solids at about six months old. That said, if you’re a month or two late, that’s fine. Also, if you want to kick things off earlier (or your pediatrician recommends it), in 2010 the American Academy of Pediatrics OK’d starting at four months old. Don’t stress about making this decision: a little earlier or a little later won’t make a big difference as long as Baby is eating well. Just pick a week when you’re not traveling or moving or varnishing your canoe or whatever, and have at it. Bertrand eating a range of foods (protein, veg, fruit, carbs) three times a day by a year old. Don’t freak out. You won’t be making three special baby meals and measuring nutritional content on Day 1. You’re going to work up to three meals a day gradually, so on Day 1, you’ll be trying a single “meal” which will probably consist of one ingredient. Once little Guillermina masters that, you’ll introduce some multi-ingredient foods (still purees) and bump up to “eating” twice a day at eight or nine months (soft foods and finger foods). By the time she’s a year old, she’ll be eating table food on an adult schedule (albeit cut up into small pieces). If Baby is still breastfeeding (or drinking formula) at a year, that fine: you’ll just balance food intake vs. milk accordingly. But you still need to get her on solids so, you know, she learns to chew. In the US, the recommendation you read and hear everywhere is infant rice cereal mixed with formula or breast milk. The up sides are that it’s mild so most babies tolerate it well, and that it’s filling which means it might make for better overnight sleep. The down sides are that it tastes like pulverized cardboard and, since it’s heavy, it can be constipating (which leads to another whole set of problems and solutions). I followed that recommendation, mostly because I would have tried nearly anything to get Astrid to sleep longer at night, but the experiment lasted about two days. She was having none of the pulverized cardboard thing, and I could see her point, so we moved on to steamed and mashed sweet potatoes and we were off to the races. Mashed up avocado is another great starter food. Starting with mashed veggies has the added benefit of instilling an interest in healthy whole foods early rather than trying to introduce them after carbohydrates, which made a lot of sense to me. (It’s also what they do in Europe, so you can consider yourself sophisticated and worldly.) I know this won’t be true of every child, but vegetables are still Astrid’s preferred food and I attribute it to her first foods experience. The choice between bought vs. homemade baby food is not a big deal these days. Yes, as with everything baby-related, there are militant moms who would never feed their child anything not grown organically at a local farm where they know all the goats’ names. They cook and jar and can their own baby food and follow books like Super Baby Food to the letter, watching the nutritional content of every meal like a hawk. That’s awesome and you should definitely join them – if it will make you relaxed and calm and a happy parent. If you don’t have that kind of time or zeal, skip it. Your baby will be fine. In my view – and this is where I come down on pretty much everything baby-related – healthy and easy moderation is the best path for you and your baby. Save your fanaticism for the things you love to do. That joy will be a great example and environment for your child. If this isn’t your area of interest however, stressing yourself out to follow someone else’s rigid guidelines will just make you and everyone around you tired and crabby. 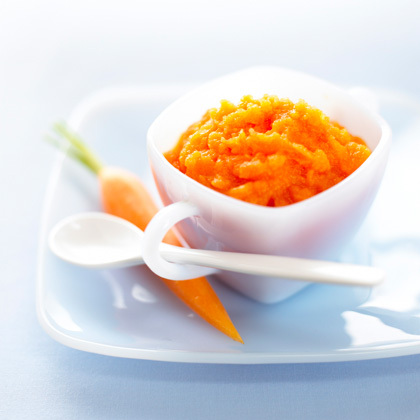 There are lots of healthy jarred baby foods on the market. They’re labeled by age, so you don’t have to worry about mashing to the right consistency or introducing a potentially allergy-inducing ingredient. 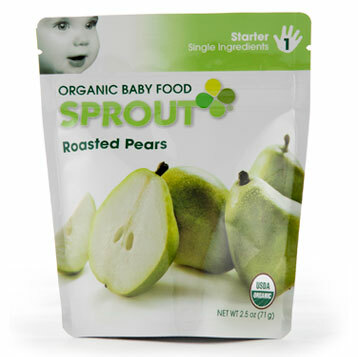 If you are super concerned about Baby eating all-organic, there are lots of options there too: Earth’s Best, Plum Organics and Sprout are just a few of the many choices. If you’re at all on the fence between jarred and homemade, I’d suggest giving the cooking a shot, at least early on. It’s ridiculously simple – and that’s coming from someone who didn’t cook really at all – and you’ll save some money. This isn’t Julia Child: it’s a mashed up avocado half once a day. If you have a steamer basket in your kitchen and one sweet potato, you’re looking at two minutes of prep (peel it, cut it up into cubes) and ten minutes of waiting while it steams. Oh – plus 30 seconds of smushing it up. No seasoning, no such thing as overcooking. Failure is pretty much not an option. And if it all get’s to be too much after that short experiment, it’s fine: you can always cut over to jarred food later. If you’re looking for a great starter cookbook, try Top 100 Baby Purees. I was bejesus scared that Astrid would have a food allergy that I would find out about because she went into anaphylactic shock while I was home alone 0r, worse, asleep at night. Since Ramon and I have no food allergies, this was probably a little bit of an edge case, but we all have our paranoias, right? According to BabyCenter, only about 6% of young children have food allergies and 90% of them are to milk, eggs, nuts (peanuts or other), soybeans, wheat, fish or shellfish. Shellfish is now on the OK list for six month olds, although it wasn’t until 2008. 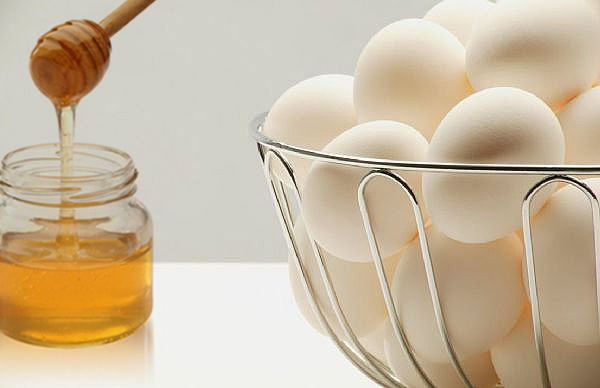 No honey until age one (it’s a bacteria risk, not an allergy concern). For more details, Baby Center has a section on specific food safety questions. Quantities. Your baby is small and doesn’t know how to eat yet, so a serving is pretty damn small. 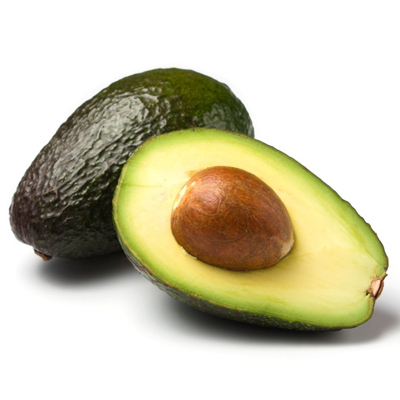 A quarter to a half an avocado is a lot of food. Buy and prepare accordingly. Note to self: no matter how cheap they are, do NOT buy flats of baby food until you know Junior loves that specific brand and type. Trust me. Fruit. 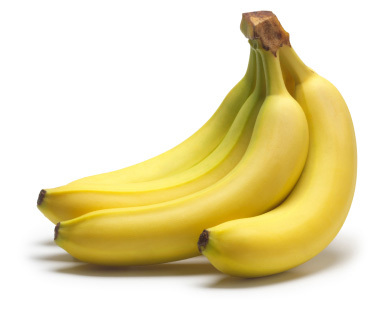 Mashed up bananas are tasty and sweet, but you may want to wait to introduce those and other fruits until Baby has acquired a taste for the less-sweet veggies. It’s easier to introduce fruit after veggies rather than vice versa. Variety. Don’t push the same food more than three days in a row. Move on and try another food before Murgatroyd gets tired of something he liked at first. That said, wait three days before introducing another new food to the rotation so you’re not over-taxing your baby’s system. She’ll need a few days to process the new food + in case she does have a reaction to a particular food, you’ll want to be able to isolate which food it is that’s causing the problem. Rejection. If Philomena rejects a food, that’s fine. Just double back and try again in a few weeks. Babies’ taste buds are very sensitive and are developing preferences as you go, so don’t assume she’ll never eat mango just because she doesn’t go for it after the first few tries. Time of day. Most babies are at their friendliest and least tired in the morning, so that’s a great time for that one-meal-a-day stage. On the other hand, if you’re trying to get lots of food into him before he goes down for the night, you can try for dinnertime as mealtime. Just be prepared that a tired baby is more likely to lose patience, so feed him well ahead of when he usually starts to power down for the day. Trust them. As with breast and bottle feeding, your baby will let you know when she’s done or full. Don’t push too hard: this is a learning stage. She’ll still be getting most of her nutrition from milk or formula, so don’t stress about getting specific quantities of food or a balanced diet into her yet. Just let her get used to eating and new tastes and textures. My usual disclaimers apply here: I’m not a pediatrician or a doctor or an accredited expert of any kind. These recommendations are based on my personal experience, lots of conversations with other moms and the advice I’ve gotten from doctors and experts. If you are in doubt about any of these notes or subjects, ask your doctor. Minimalist Mama On The Move! In a week or so, Minimalist Mama will have a whole new look and feel and a ton more content: we’re merging with Minimalist Mama Expecting and Minimalist Mama Gifts! We found Butterfly Butterfly at our local library last month and Astrid loved it. It’s your classic love story – girl plays with butterfly, loses butterfly, finds a bunch of other bugs, car chase, locates butterfly, happy ending. OK, not the car chase, but the rest of it is true. There’s no particular moral of the story, except that the backyard is cool, which is fine with me: Astrid is two, so complicated stories aren’t a big draw. Colorful pictures are though, as is some limited pop-up action, both of which Butterfly Butterfly has. 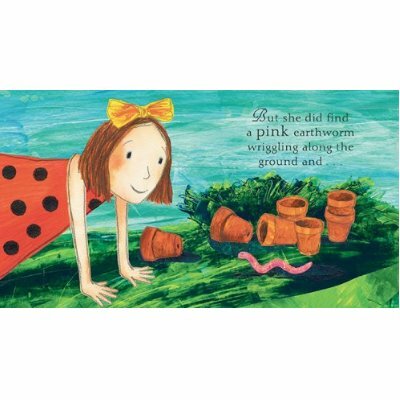 The illustrations are truly gorgeous and there are little tiny things for her to find in the pictures and remember for next time. 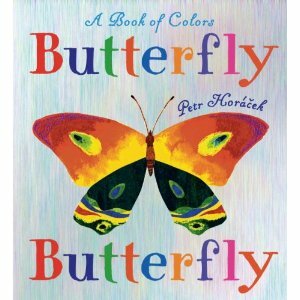 Perfect for 1-2 year olds and butterfly/bug fans.